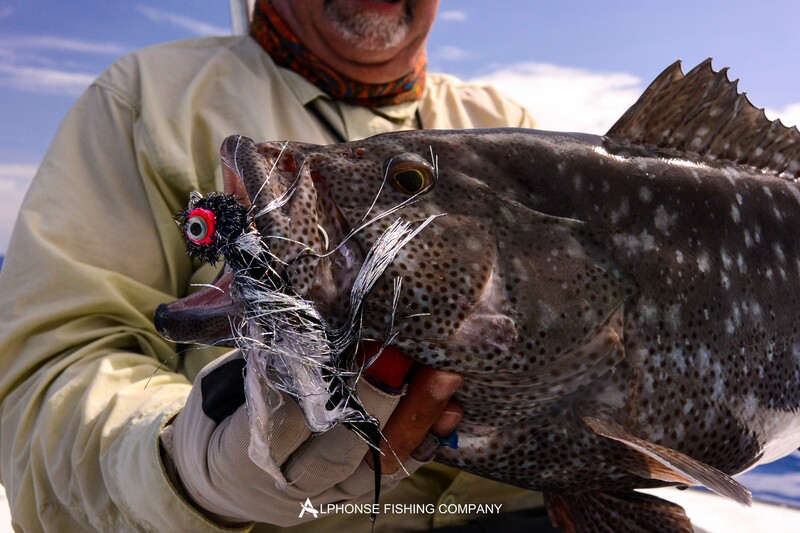 The twenty-second week of the season saw eleven anglers venturing out to St. Francois for another incredible week of fishing on the flats. 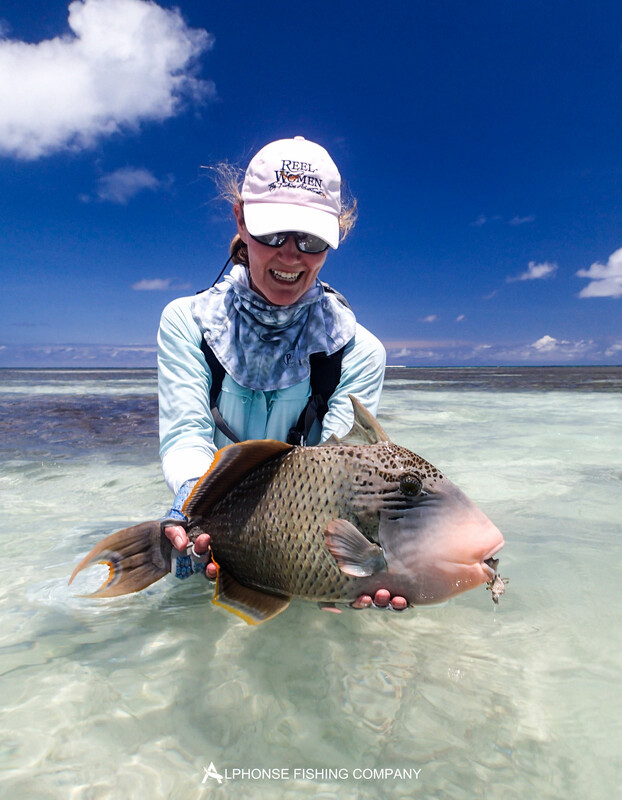 Over the past couple of weeks the neap tides have allowed for phenomenal triggerfish fishing on the finger flats. 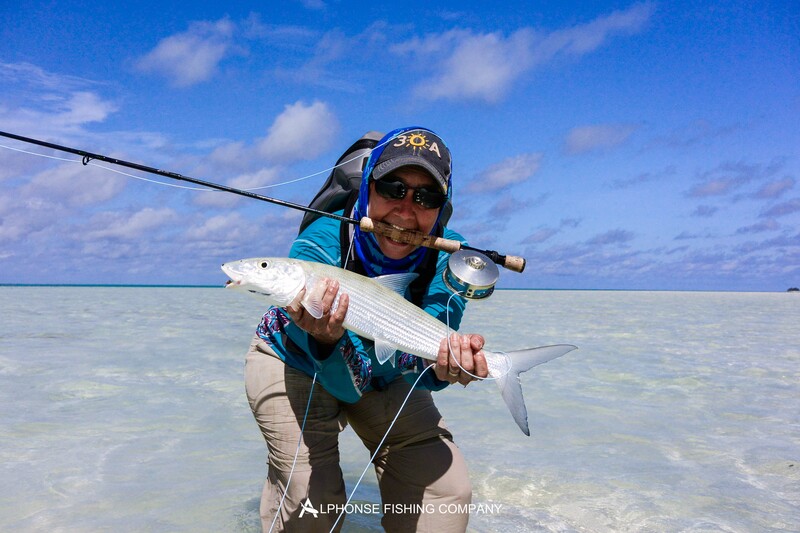 Despite this week’s tides lending themselves more to longer surf walks, the atoll continued to produce a high number of hungry triggers. 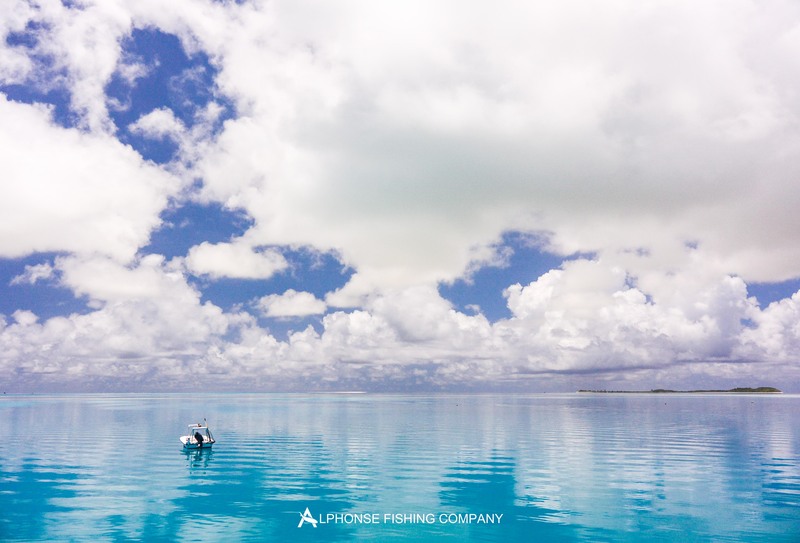 This week spring tides provided an early morning drop, which accounted for the vast quantities of bonefish moving down the white sand flats and dropping into the lagoon leading to fantastic bonefish sessions throughout the whole week. The large disparity between high and low tide was extremely conducive to walking the surf and this was aided by good weather and light conditions which further improved as the week progressed. 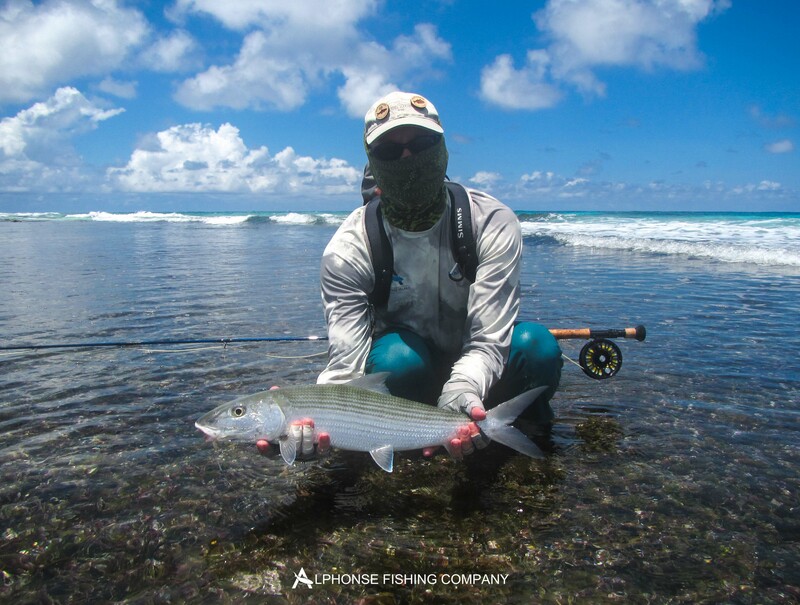 The classic bonefish Sunday was the first order of the day with Jean-Pierre Ziegler and Bo Ribaudo managing to join the prestigious 20+ bonefish club straight off the bat. Tom Abraham and Brian McLean were not far behind in becoming members of the club after a single spectacular bonefish session in which both anglers caught 20 bonefish. 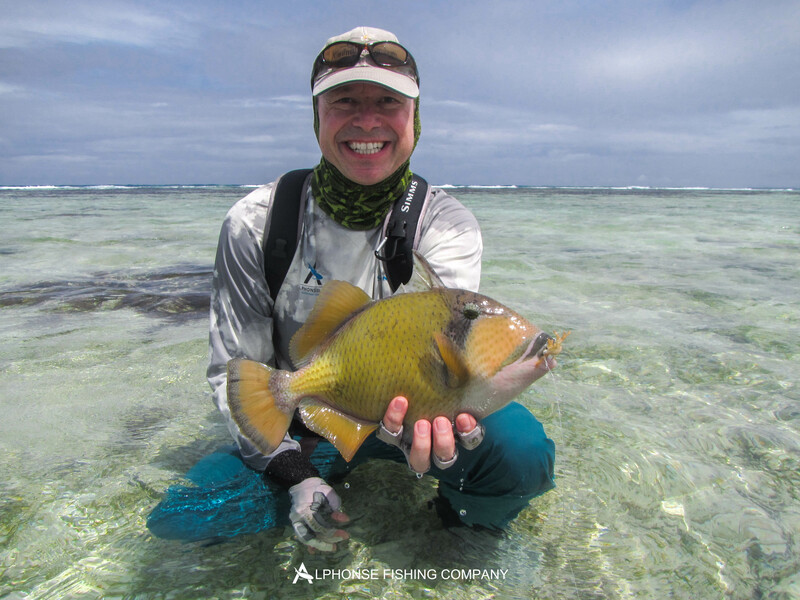 The guides were eager to continue the good triggerfish spell as Jean-Pierre also added a nice Moustache trigger during his first day of fishing. 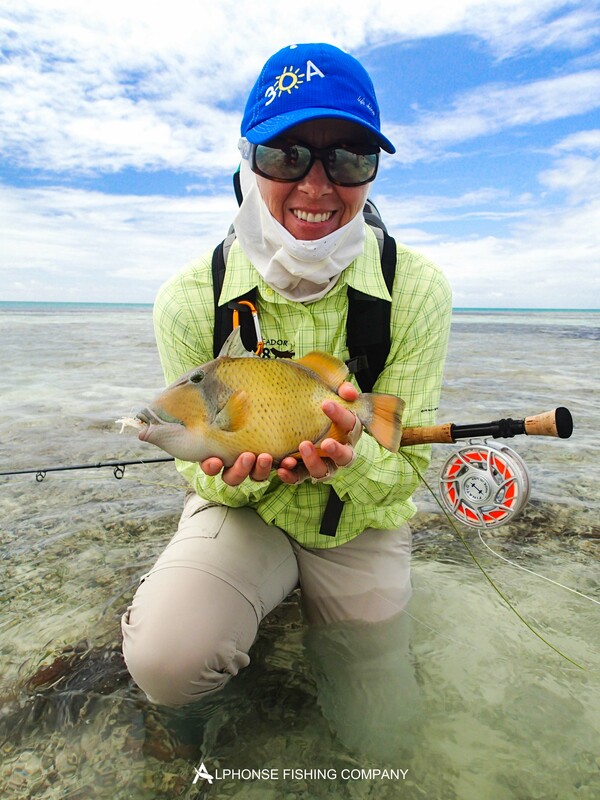 The Yellow-margin triggerfish seemed to be the order of the week with 8 being caught between the group. 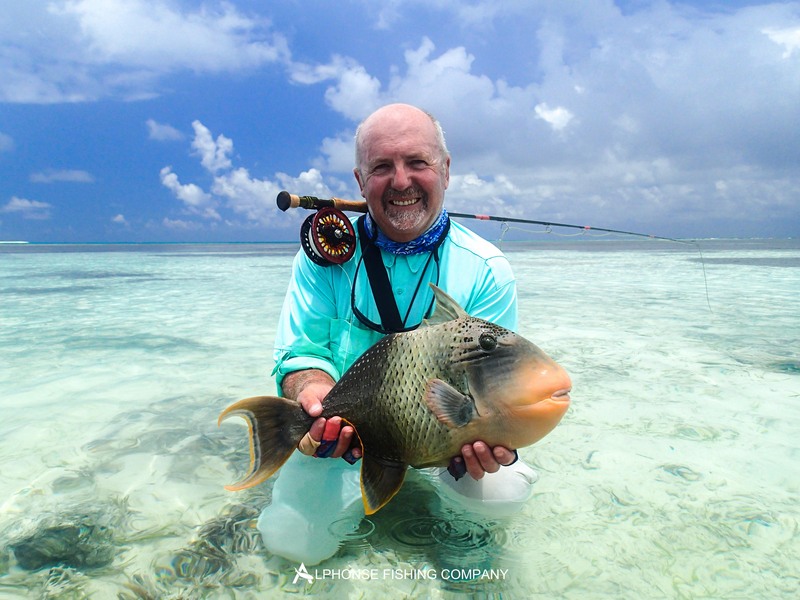 Boat partners Alastair Bentall and Hugh Armstrong both managed to join the triggerfish club with a nice Yellow-margin each. Kathy Truman also finished her week with a beautiful 7lb Yellow-margin, and not far behind was her good friend and boat partner Patty Miller who managed to land a Yellow-margin on the final day as well as landing the only GT of the week despite many being seen. Following suite were Brian McLean, Bo Ribaudo, Sarah Argyropolous and Cyril Bodner who all managed to hook and land Yellow-margin triggers. Despite not being as prominent as the Yellow-margin, there were a number of Moustache triggers captured and most being of a better size. Tom Abraham was the first to get his hands on a nice Moustache followed closely by Kajsa Larsson who managed to bring 2 Moustache triggers to the net. The total number of triggers caught during this week added up to an impressive twelve. The fishing off the flats was just as good with Jean-Pierre heading out for a half day of bluewater in an attempt to catch a sailfish on fly. 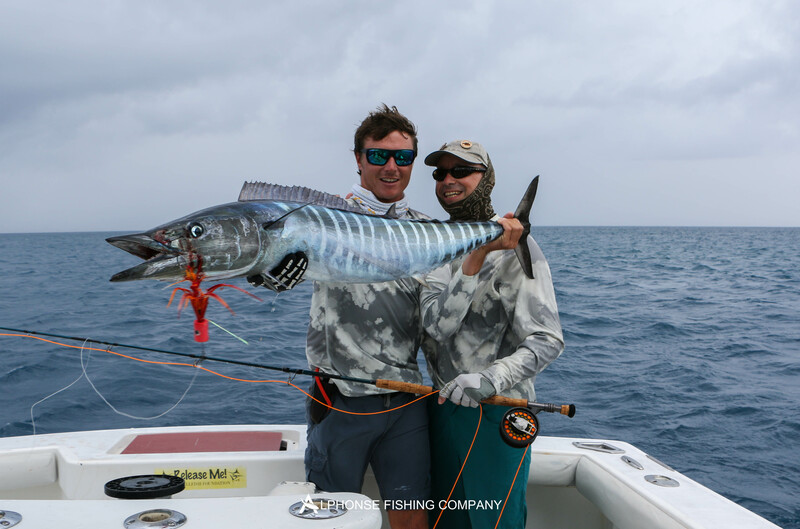 Despite losing a couple, the boat came back with two gorgeous Wahoo. 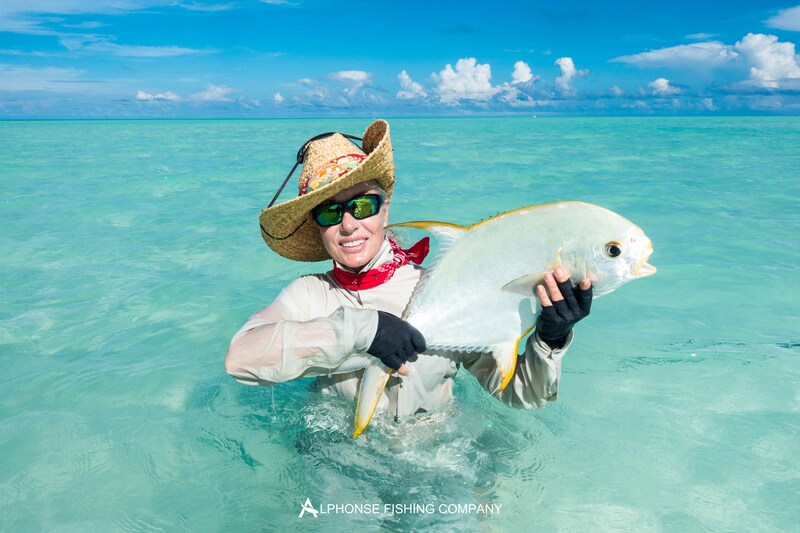 The cherry on top of the icing for the week was another stunning Indo-Pacific Permit caught by Sarah Argyropolous who arrived on Alphonse after a week fishing the wild Astove Atoll. Another sensational week of fishing had to come to a close with some amazing experiences and stories stemming from a great week’s fishing. It was fantastic to see old faces and a pleasure to meet new people. 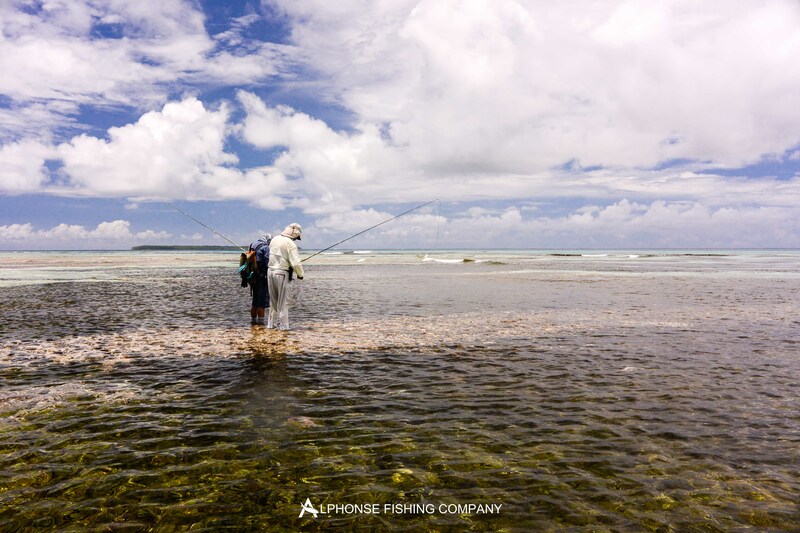 Tight lines from the Alphonse fishing team.